From the Home screen, navigate: Settings > Personal Hotspot. 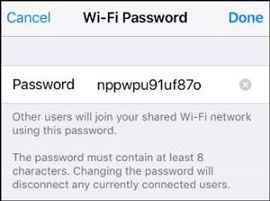 Tap the Wi-Fi Password field. To change the password, edit the info then tap Done.